The Uniden BC355C 800MHz 300-Channel Base Mobile Scanner (Black) is a great scanner! I had programmed a Uniden BC350A for a friend several months ago, and I liked the way the scanner looked. So, when I discovered that the latest edition was available, I thought I’d try it. I’m sure glad I did. The Bearcat BC355c cost me around $100 ordering from Amazon.com. The scanner was delivered promptly (as usual from Amazon) and I was tickled to get it. Right out of the box this rig catches your fancy. I also like the ability to touch a button and monitor Police Dept., Fire Dept., and Emergency Rescue. Hit the button again and you undo that selection. I read on one review that you could not stop the Air/Marine channels from monitoring. Well, this is simply not true. Hit any button on this scanner and it will undo just as easy. There is absolutely nothing about this police scanner that I don’t like. It is an affordable, efficient, nice looking scanner. If you want something that has trunking capabilities, this is not the scanner for you. And yes, the more expensive scanners have slightly better receive. But the BC355c definitely gets the job done. If you just want to monitor the locals, and you do not need a digital scanner just yet, this scanner is a very good investment. It’s just that plain and simple. Some will moan that one can’t program the frequency directly into the scanner without scanning, like some of the handhelds do. My goodness, is this really a big deal? Not for me at least. If you’re ready to catch the drama as it unfolds, buy the BC355c. It comes with the AC adapter. And what I really like, this unit comes with a cigarette lighter power cord. This means you can scan in the car, on the go, which would really be valuable during a power outage. 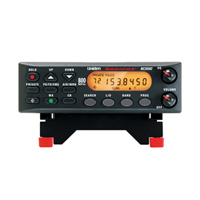 And for all the ham radio hobbyists out there, this scanner does scan all of the 10 meter band. It also scans 2 meter, 70 cm, 6 meter, and 11 meter. That’s quite a lot of scanning! and when we play outside the rules there of course is a penalty. I have owned this scanner for several years. We put it away for a few months and didn’t use it. I took it out today and turned it on. The front lights up, but nothing else is shows up in the window and it doesn’t make any sound. How can it break without using it?